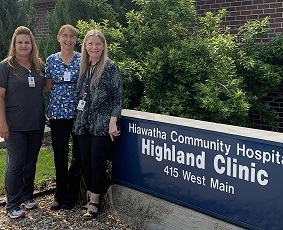 To view the Highland Clinic providers, please click HERE! In order to provide you with a faster check in process, listed below are important documents that you may print out, complete and bring the day of your appointment. Please start by reading our Welcome Form so that you are familiarized with the services our clinic offers, physicians and other items you need to bring to your appointment. Walk-In Clinic can be utilized for acute type illness such as cough, sore throat, rash, fever, etc.